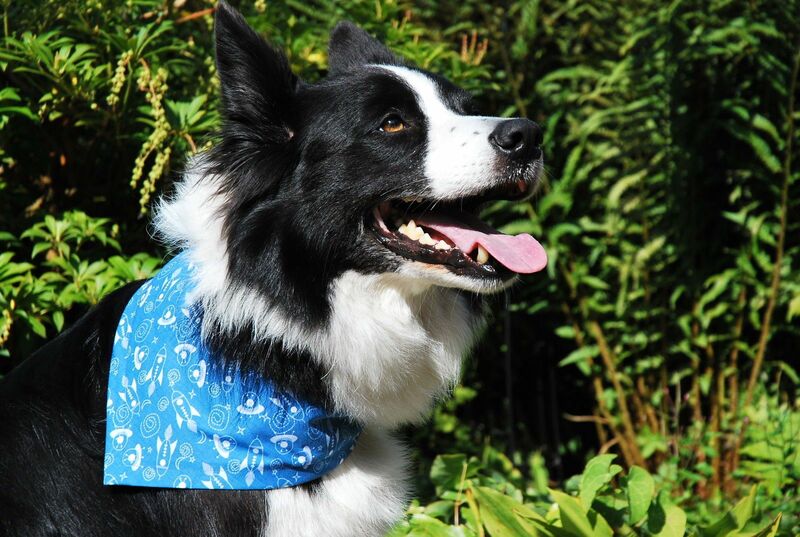 A really cute blue Doggy Text dog bandana from our Premium range. 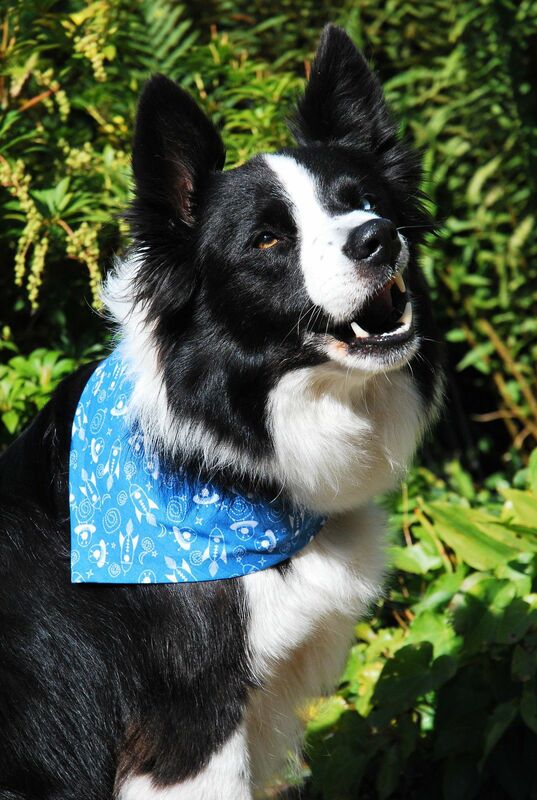 The background is a beautiful shade of soft mid blue, covered with 'things your dog might say', eg. 'Me? It was the cat! ', 'Look at me! ', 'Just one more throw! ', 'Squirrel! ', 'That's my chair! ', and lots more similar sayings! This is a really fun design. 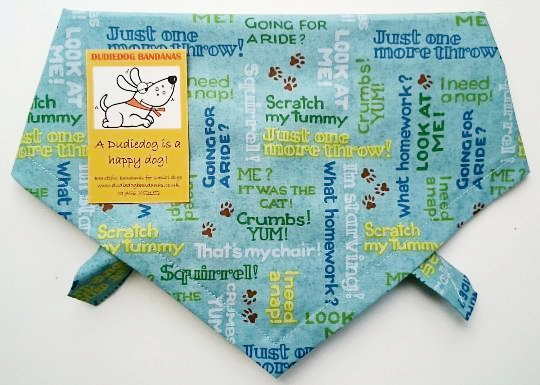 and it's a perfect addition to any fashion conscious dog's wardrobe! 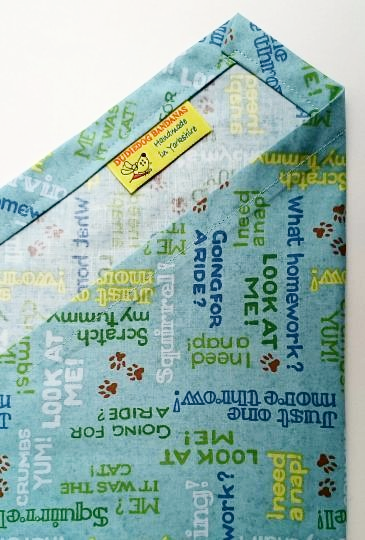 It also makes a perfect gift for all of your favourite doggy friends!